Supernatural Season 13: There’s no full stop on the Supernatural series. Watch Dean and Sam coming back with Season 13 release. One of a luckless number it seems. But it is about to happen in the coming time with no doubt. Read out this article to know every minute details for the same. Supernatural Season 13 Release Date: When Will It Premiere? 1 Supernatural Season 13 Release Date: When Will It Premiere? 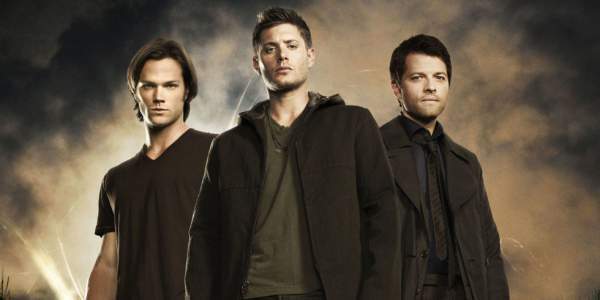 5 What about the Supernatural Spin-off? The renewal stamp was put on the ‘Supernatural’ series on January 8, 2017. The CW is about to capture a brand new season 13. News and updates reveal that the series would carry on further from Thursdays in the US according to their 2017-18 autumn plan. US members can have a look of Supernatural season 13 on October 12, 2017, Thursday. Haven’t watched the earlier seasons? Have a look at the past seasons with S13. We are expecting the UK release date of Season 13 of Supernatural series in the year 2018. If the show goes on with the TV ratings, there are chances that the series would go on further after season 13. A total of 264 episodes have been released so far in the show. Now, Jared Padalecki and Jensen Ackles are aiming to hit the score to 300. This can only take place with season 14. After they hit the score, they may or maynot end the series. There is no trailer out yet. May be it sounds too early for the launch of a trailer. Probably, once the 13th season has been recorded, we’ll get to watch the trailer. Jensen Ackles confirmed the news in the middle of July this year. Further, the work moved on to season 13 which started recording the show on Wednesday, July 12. Related: Yuri On Ice Season 2. The titles and episode order are both subject to change. What’s the confirmed information? May be we join some clues and make some assumptions about the upcoming events. But one thing that is going to be sure is that this time you’ll get to see a ‘Supernatural + Scooby-Doo animated crossover episode.’ That’s something new! Are you excited for this? An animated series looks good. In the month of May, Jensen Ackles and Jared Padalecki revealed a picture at the CW upfronts. The picture features the cartoon Dean and Sam accompanied by Scooby-Doo. Castiel won’t be missed this time and present this time. Talking about the presence of Shaggy, Daphne, Fred, and Velma. But, wait? How come Castiel became alive again after being dead. Here, we need to turn on our imaginary mind and pick out some clues for the same. Events got stuck at Jack, the son of Lucifer and Kelly Kline. But what happened? The scene was just featured at the conclusion part where the season 12 last episode. Just after being born, he rapidly ages into a teenager. It was just a few minutes since he took birth. What’s more exciting to hear is that- Jack is a Nephilim. There was some glance at this very part too. Not less, in fact more is hidden in the series. Again a concept has captured huge views. Castiel seems to have an alternate reality version of him. The case just seems to match with Alternate Bobby Singer. Related: Ash v Evil Dead season 3. The confirmation stamp has been put on the entry ticket for Jensen Ackles (Dean) and Jared Padalecki (Sam Winchester). Now the question comes up. Are Misha Collins (Castiel) and Mark Sheppard (Crowley) going to return too? The breathtaking ending of S12 left everyone in suspense. Crowley sacrificed himself. In order to lock the rift and catch Lucifer, he just stabbed himself with an angel blade and knocked his life’s battery down. A while later, Lucifer stabbed Castiel with an angel blade. Dean and Sam are left scared watching all this. The end just picked up its path. Lucifer and Mary Winchester ended up being locked up in an alternate reality. But this made a certain demise of Crowley. One can’t be damn sure what happens next. It doesn’t mean that he will never return. It’s just that there is nothing on the cards for him. Misha Collins has confirmed that Castiel has a future. Good news for the viewers. All the fans must be waiting to see his performance. Tweet tweet! Yes, Misha Collins just updated a tweet which says, ‘Castiel has a future’. Probably, there are chances for the return of Cas. But what about his death? This may be surprising to see how Castiel would make a re-entry. In this regard, Padalecki accidentally revealed something. He said that Collins has filmed his part in S13 Scooby-doo animated episode. The dialogue part has been completed as confirmed by him. Talking about Mark Pellegrino (Lucifer) and Samantha Smith (Mary), we ain’t getting any clues. Both the characters play the part this is stuck on the alternate side. Lucifer has been confirmed to return, but we don’t how, when, and for how long. Related: Sword Art Online season 3. What about the Supernatural Spin-off? The viewers must be remembering the part where a futile backdoor pilot was captured for a spin-off. That would have been titled Supernatural: Bloodlines. It released in early 2014. The experimented faded over there showing no response from the fans. Now, CW is willing to take a further step ahead by snapping a spin-off series. Loretta Devine as Missouri Moseley, a psychic who was last seen in season one. Are you guys excited for the Supernatural season 13? Want to know about the suspense entry of Castiel? Check our article daily for more updates and news! Stay tuned to TheReporterTimes for more. I believe the guys have said that they hope to reach a milestone of 300 episodes. They did not say that this will mark the end of the series. They have left this open. So please do not misrepresent their intentions.